The digital world is vast, complex and ever changing. Making sure your website looks great and functions flawlessly whatever screen it’s accessed from is essential – whether that’s on a tablet, smartphone, iOS device or Android phone. View some of the websites we have created by clicking here. Your website should form a core part of your business marketing strategy, delivering informative and engaging content. We are experienced and creative website design and development partners. Our team are equipped with the technological expertise to help you succeed. We provide fresh, creative digital solutions for businesses that want to grow online. There are limitless ways to talk to all sorts of audiences online. 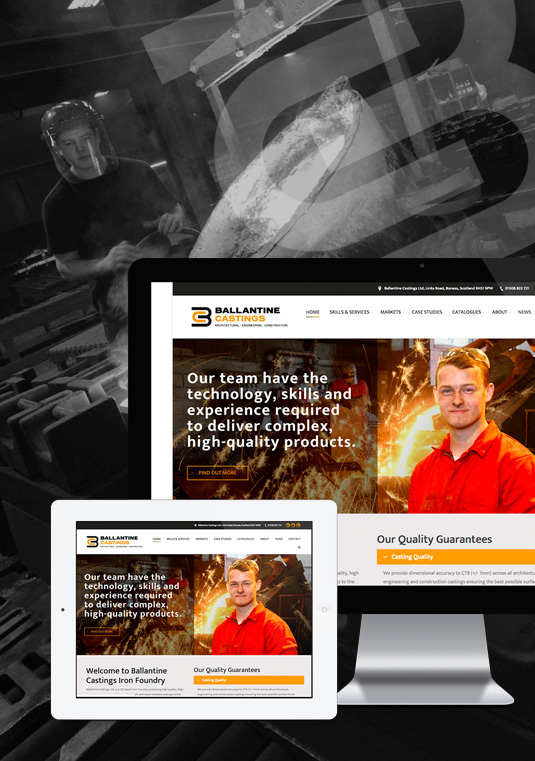 We design and develop fast, fully functional, responsive websites – delivering increased online enquiries and ensuring that you’re offering a great user experience. From simple, user friendly brochure websites right up to large scale e-commerce platforms, our digital design and development skills make sure that your customers’ first impressions count. We can also develop and manage your online and email marketing and SEO; smart social media strategies; digital marketing campaigns that drive traffic to your website and apps that are intuitive, simple and engaging. In short, we help you maximise your investment and get the right message to the right people at the right time, in a format that engages your audience. Stay connected. Talk to us about responsive website design and development. Let us help you to change the way that you do business online.